Two options for Senior High Curriculum Standards are offered. B. Elementary Approved Series (UPDATED Dec 2014) - Click here for diocese's evaluation of these series. Alive in Christ - Parish Edition correlation to diocesan Curriculum Standards. Be My Disciples correlation to diocesan Curriculum Standards. here for diocese's evaluation of these series. C. Junior High Approved Series (UPDATED June 2015) - Click here for diocese's evaluation of these series. D. Senior High Approved Series - Click here for evaluations. 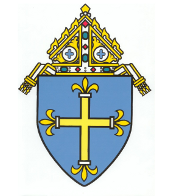 E. Confirmation Approved Series (UPDATED July 2014) - Click here for diocese's evaluation of these series. PUREly YOU! by Purely You Educ.